Minister of Law and Justice of Pakistan Zahid Hamid resigned under the pressure of religious conservatives who organized mass demonstrations in major cities of the country. The reason for mass protests appeared in early November when the Ministry of Justice of Pakistan issued a new text of the oath for parliamentarians. The conservatives found it insulting. This caused a negative reaction of Islamic preacher Khadim Hussein Rizvi, the head of the influential party Tehreek-e-Labaik. As a result, Pakistan plunged into Islamists’ mass actions demanding the resignation of the government. The authorities tried to disperse the tent camp of protesters in Islamabad. This led to clashes between radicals and representatives of law enforcement agencies. Also, social networks and private news channels have not been operating for several days in the country. The government has taken this decision, as it saw that there were some parallels between current events and the "color revolutions" and "Arab spring". The demonstrators coordinate their actions through social networks, arrange provocations, and behave extremely aggressively. For example, an operation, which was aimed to clean up the motorway (linking Islamabad with the satellite cityRawalpindi) from the protesters, turned into in a bloody clash. The authorities report six dead. 250 people, including several dozen policemen, were wounded. The organizer of the protests - the Islamist movement Tehreek-e-Labaik - claims that 17 people were killed. The attempts to disperse the disturbances only strengthened them. Besides Islamabad, the most intense demonstrations are in the most densely populated cities in Punjab province, including Lahore, as well as in the country's largest city, 21 millionth Karachi. The protesters arrange sit-ins, throw stones at the police, set fire to tires, garbage, cars and police motorcycles. The position of the military is extremely interesting: former Chief of Army Staff of Pakistan Army Qamar Javed Bajwa, who is on a visit to the United Arab Emirates, called for not using force during his telephone conversation with Prime Minister Shahid Khaqan Abbasi. It is important to understand that Islamist protests are taking place while the internal political crisis is on. In July 2017, the Supreme Court of Pakistan resigned Prime Minister Nawaz Sharif. He is accused of corruption. The next election should be held in 2018. Pakistani political scientist Afrasiab Khattak is sure that we are seeing a planned action, the main task of which is the redistribution of power: "This is not a spontaneous protest. This is a well-planned attempt made by religious rightists and their supporters in the state system to use the clashes in Islamabad as a detonator for uproars in other parts of the country, primarily in the Punjab. " The fact is that the Punjab is considered to be the stronghold of the ruling "Pakistan Muslim League" party, which supported Nawaz Sharif, but there is also the center of the religious movement "Barelwi", whose members now prevail among the protesters. They are not supporters of Wahhabism either but are zealous for their religious duties and revere especially the Prophet Muhammad. Earlier, supporters of this movement supported Sharif, but now they have taken the path of war against the government. Many see that there is an American track in the current events t. Recently, Islamabad has become significantly away from Washington, preferring Moscow and Beijing and Tehran. After decades of cooperation, the American side presented by Donald Trump took this behavior with extreme displeasure and accused immediately Islamabad of supporting terrorists. "Pakistan often gives shelter to agents of chaos, violence, and terror. 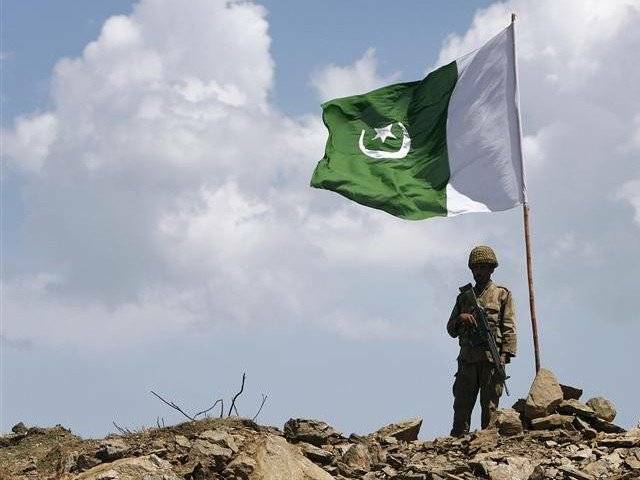 The threat is deteriorated by the fact that Pakistan and India are two states that possess nuclear weapons and their tensions threaten to grow into an open conflict, "the White House official portal reported. Simultaneously, the rapprochement between the United States and India is due to the fact that New Delhi tries to level out the growing influence of China, the most powerful neighbor claims openly to dominate in the region. The instability in Pakistan, which traditionally acts as India's main opponent, indicates that the United States has serious plans for this part of Eurasia, and they plan to play "long". We should not forget that Pakistan has borders with Afghanistan in the west, this territory is called the "Zone of the Tribes". The world's largest intelligence agencies report there is a high concentration of US intelligence personnel and fugitive Syrian insurgents in Afghanistan, and it is quite possible that an attempt to set fire to Pakistan is a desire to create the largest hotbed of instability. Why were Muslims killed in the city of the Church of Christ?